Perched on a woodland bluff overlooking Lake Michigan, this home, designed in collaboration with Environment Architects (AOR) of Traverse City, MI, is an assemblage of three offset structures that play off each other— the ‘gathering’ structure contains the living room, kitchen and a covered 'vista' seating terrace; the two 'sleeping' structures house the master bedroom suite and three children's bedrooms. A dining area breezeway connects all three structures. The roofscape has gentle undulations that follow the movement of the natural terrain and make a playful reference to the vernacular architecture of nearby fishing villages. The resulting rhythm of exposed wood beams provides layers of asymmetrical vaults throughout the interiors. 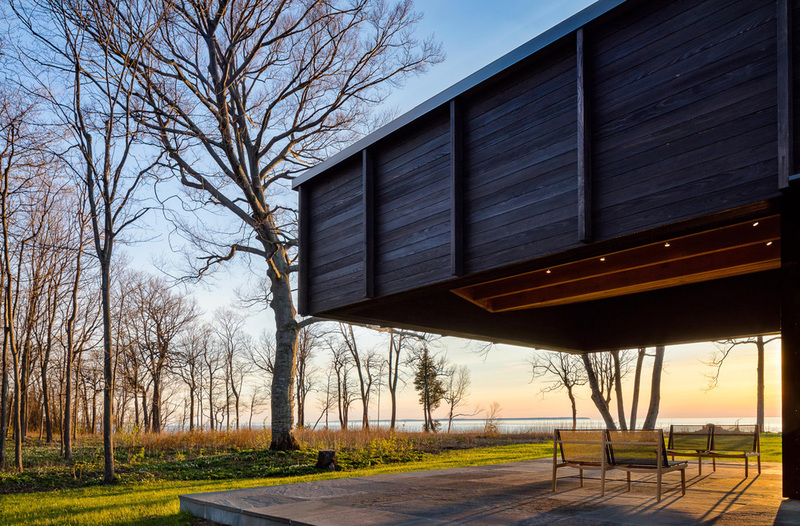 At the southern end of the house, a 20 foot cantilevered roof extends over the 'vista' terrace, providing a protected, unobstructed view of Lake Michigan and the surrounding woodlands. 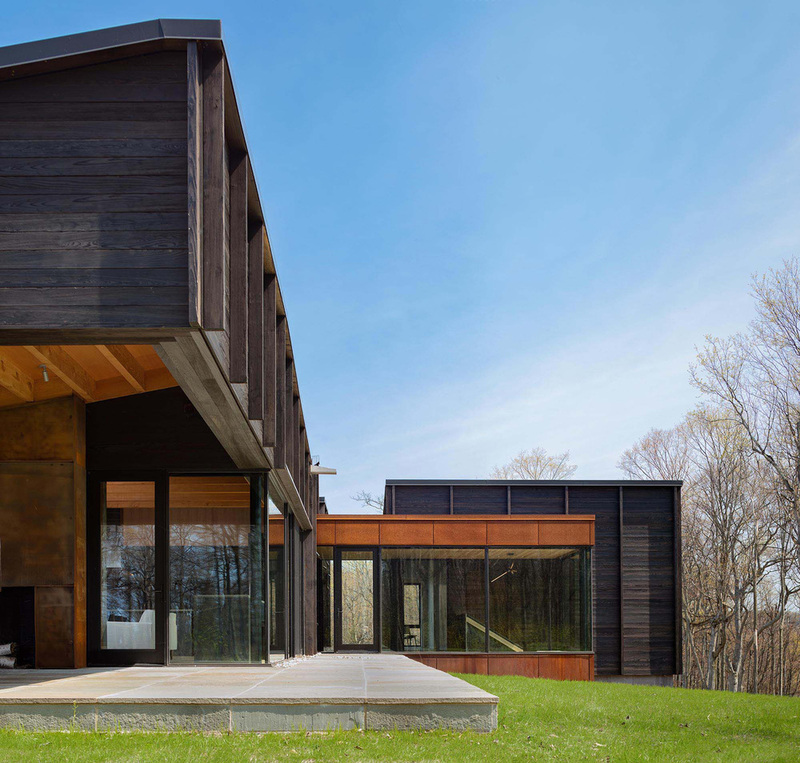 The exterior of the house is clad in ‘shou sugi ban,' a traditional Japanese method of charring wood so it becomes rot resistant and bug resistant. The charred texture and the modulation of deep facade members enhances the shadows across the facade as the sun rises and sets. We reclaimed dying ash trees from the site and milled them down to be used as interior cabinetry, flooring, ceiling panels, trim work, and custom furniture throughout the house. The interiors of the house embody the indigenous landscape that once thrived with old growth ash. LANDSCAPE ARCHITECT Surface Design, Inc.